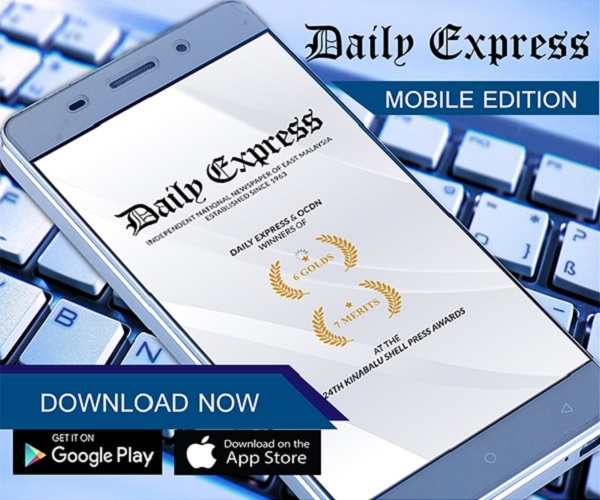 Struggle to put out Ranau forest fire | Daily Express Online, Sabah, Malaysia. Ranau: Firefighters from the Ranau Fire and Rescue Department struggled almost 14 hours to put out a forest fire following villagers attempt to clear a farm, Sunday.Ranau Fire and Rescue Department Chief, Jimmy Lagung, said after the smoke had cleared it was found that the size of the damage was about 500 acres of bush located a stone's throw from the Paragliding arena near the Ranau Sports Complex. Jimmy said his team had to use everything at their disposal to extinguish the flame in order to prevent it from spreading to public buildings as well as village housing areas. "We have warned time and time again for everyone not to do open burning, especially during dry and windy season, but still there are some quarters who have little consideration for the safety of others. "During the incident, not only fruit trees, plants and crops belonging to many villagers were destroyed, but amenities like gravity water pipes," he said. 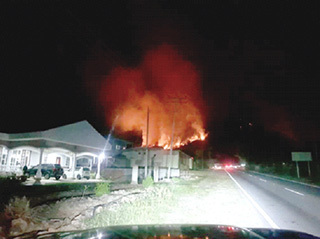 Jimmy said the department received a call from the public at about 10am Sunday informing that a fire which started from a nearby farm, had spread uncontrollably due to the dry and hot weather as well as the windy condition.